One of our many specialties includes taking statements from difficult or reluctant witnesses. We do this in part by a congenial and professional approach. We are successful in getting people to talk to us by being respectful, honest, and straightforward. 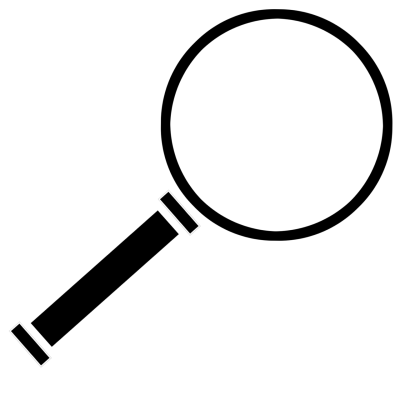 We are experts in locating witnesses, subject parties and/or claimants, with unknown whereabouts. We have found homeless people on Los Angeles Skid Row and people with just their first names. Our investigations provide information that is crucial to our clients obtaining satisfactory settlements. In two such civil cases, the information we obtained led to our clients obtaining a $100 million award in one case and a $400 million award in another case. Our investigations helped one of our clients recently save over $200 million in Workers Compensation costs. When investigating stress and physical injury claims, we explore all aspects of the claimant’s job, including job duties, performance, and the way he/she was treated in the workplace. We explore all areas of his/her personal life, for the purposes of determining threshold, motive, and apportionment. We obtain any available paperwork pertinent to the case. Our firm specializes in investigating Worker’s Compensation fraud. We developed information that was subsequently turned over to the District Attorney’s offices in Los Angeles, Orange, San Diego, and Stanislaus counties, as well as the California Department of Insurance, which led to the arrests and successful prosecution of claimants, lawyers, clinical workers, and doctors, involved in fraudulent Worker’s Compensation claims. In matters involving subrogation, we pursue every avenue to establish third-party liability, not only searching out product defects, but also looking for design defects. In finding such defects, we saved our clients millions of dollars, by providing evidence for successful third-party lawsuits. We are proficient in dependency matters and successfully found legal dependents, not obviously evident. When presented to the WCAB, they were accepted as such, precluding clients from having to pay the statutory amount to Death Without Dependents. We are experts in conducting Background and Asset Checks. We located difficult to find information on subjects that became vital to the specific cases and ultimately made the difference in those cases. We found hidden assets internationally, and uncovered information about unknown accidents and injuries in foreign countries that greatly benefited the client. We are able to locate criminal and civil cases in remote locations. We maintain an extensive library of databases, both public and private investigator restricted. When we conduct a Background and/or Asset Check, Witness Locate, Due Diligence, Pre-Employment Search, or Household staff, Nanny, or Tenant Check, we utilize those resources in order to obtain the most current data, thereby providing a complete and accurate check. * Often, we can deliver same day results. We have the ability to check bank accounts and conduct credit checks. ** We are FCRA compliant. *Please note, we do not provide addresses or personal vital information, unless it is to an insurance company or law firm, with an active case, or to an individual, only when proof of an active case is provided, or the subject’s express permission is given. **Please note, bank account checks cannot be performed unless you have a valid judgment from a court case, a court order, or the subject’s specific written consent. Credit checks cannot be conducted without explicit written permission from the subject or a court order. We are experts in conducting Criminal and Habeas cases and worked on high profile matters. We found pertinant evidence that other investigators were not able to find. We are successful in getting reluctant witnesses to speak. We have obtained new evidence in decades-old cases that greatly benefited Habeas matters. When conducting accident investigations, we contact the appropriate government agencies and obtain their reports. In exposure claims, we obtain the Material Safety Data Sheets (MSDS). We inspect, photograph, diagram and comment on the scene. When appropriate, we obtain and secure physical evidence, taking special care to preserve the chain of evidence.